The leader of the Sky is making his particular preseason in South Africa and shared with his followers his demanding training: he traveled 225 kilometers. 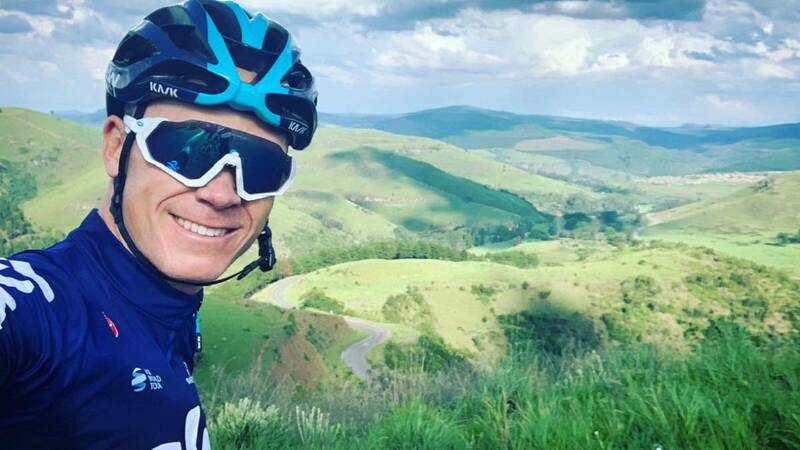 Chris Froome finalizes his set-up for the 2019 season in South Africa before making his debut in the Tour de Colombia on February 12th. The British cyclist wanted to share with his followers how his trainings are like last season, when he was investigated for his positive for salbutamol in the Tour that the UCI filed. Froome raised in his Strava account an activity carried out this Wednesday in which he recorded 225 kilometers on the bicycle in the area of Mariepskop completed in 6: 31: 57. A training not easy, as Froome rolled to an average of 34.5 km / h in a path in which he had to face up to 6.720 meters of altitude positive, possibly in the same area where 10 days ago a picture of a landscape of South Africa with the comment "The best views come after the most difficult climb"
Al Like other cyclists like Alberto Contador, Froome wanted to join the viral movement in social networks # 10YearChallen ge recalling his victory last year in the Giro d'Italia, although nuanced. "I completed my # 10YearChallenge a year earlier", attaching a chronicle of the Cycling Weekly portal of the 2009 Giro of the 14th stage where Froome was sixth and another with his victory at the top of Monte Zoncolan.